Hayashi’s Martial Arts Academy is a local family owned business located in El Paso, Texas on 211 Teramar Way. 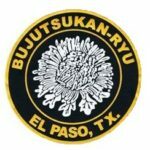 Open since 1955, and located on El Paso’s Westside, Hayashi’s provides interaction with martial arts to both children and adults. The academy hosts tournaments and seminars annually and year round. The philosophy upheld by the academy and its instructors is to teach and guide individuals in the martial arts and to help students reach their maximum potential by integrating the mind, body, and spirit as well as developing character, self-confidence and respect for themselves, others, and all living things. Professor Tarow Ty Hayashi (Sensei Hayashi’s father) began teaching martial arts in El Paso in 1955. After Professor Hayashi passed away in 2001 and a lifelong dedication to the martial arts, his organization continues to oversee the instruction and rank certifications of the students of Hayashi’s Martial Arts Academy.